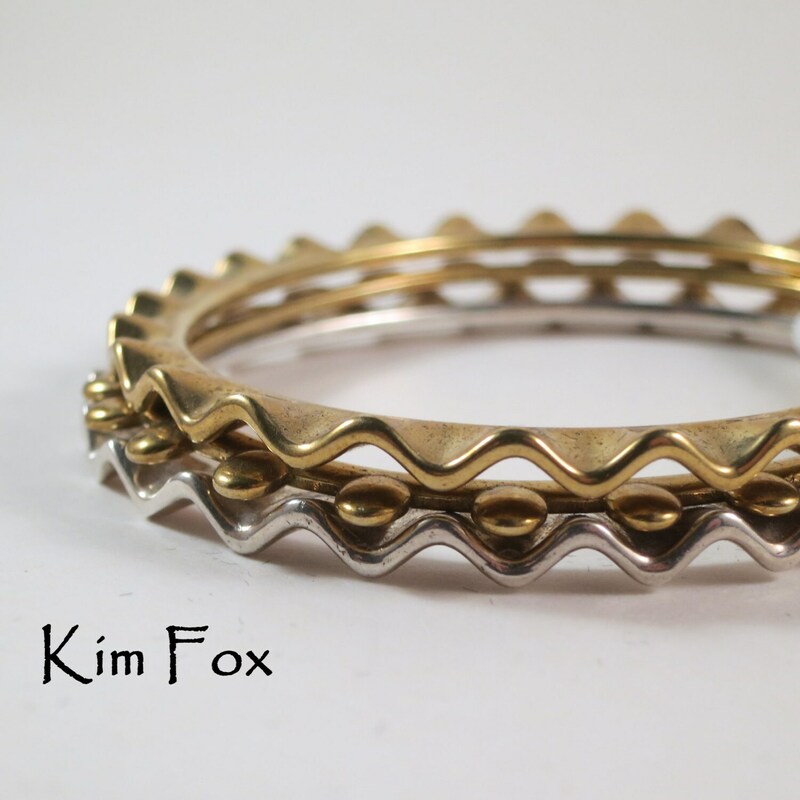 This medium version of the wave bangle has a 8 inch circumference. 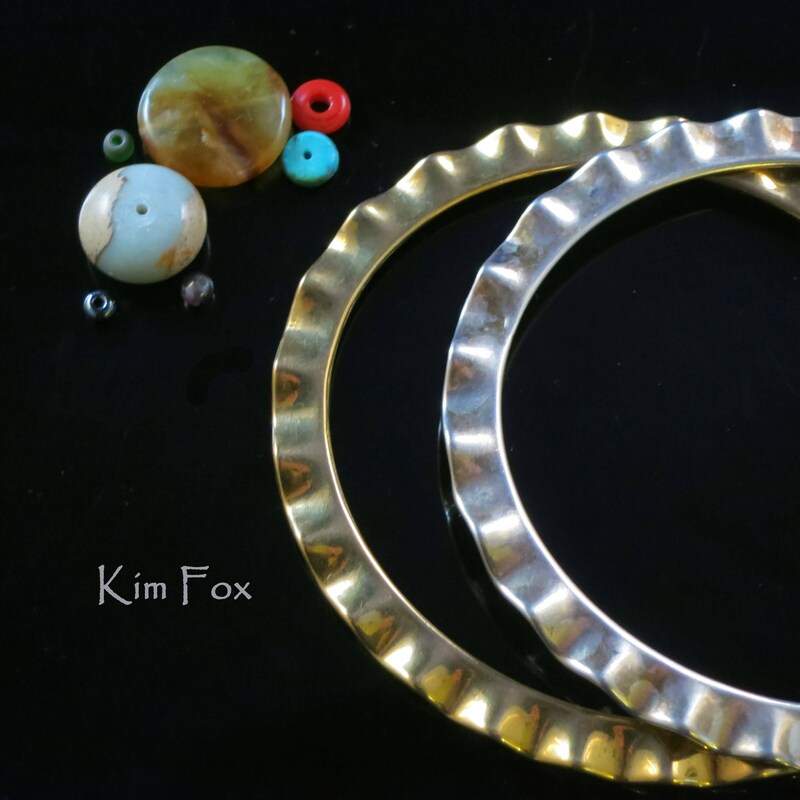 The Wave Bangle flows around the wrist and can be worn alone or framing other bangles that you wear. 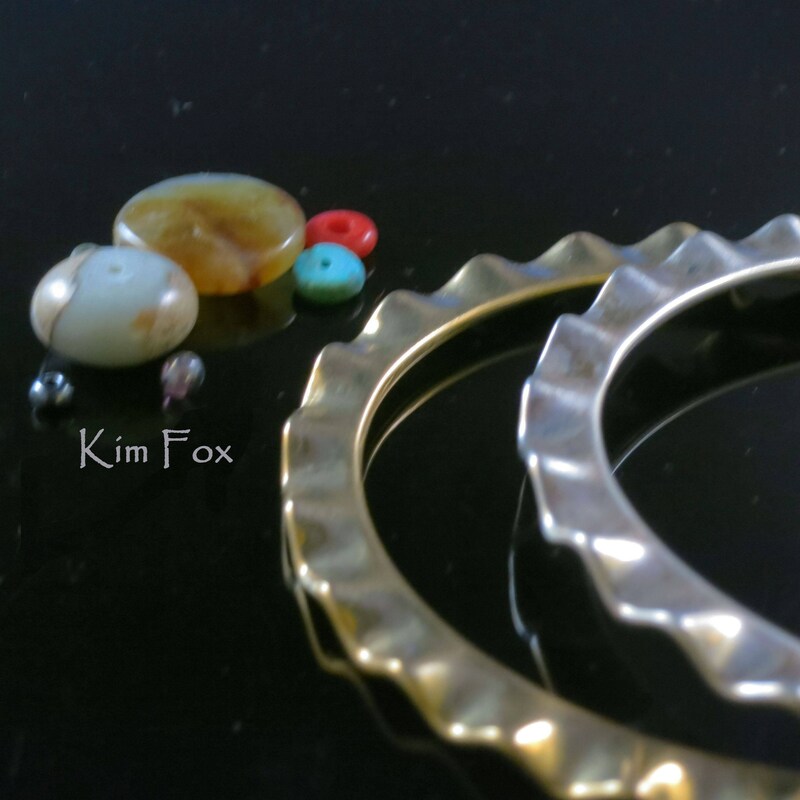 It is easier to put a bangle on a wrist when your hands are wet or moisturized. The waves are representative of the waves in water. 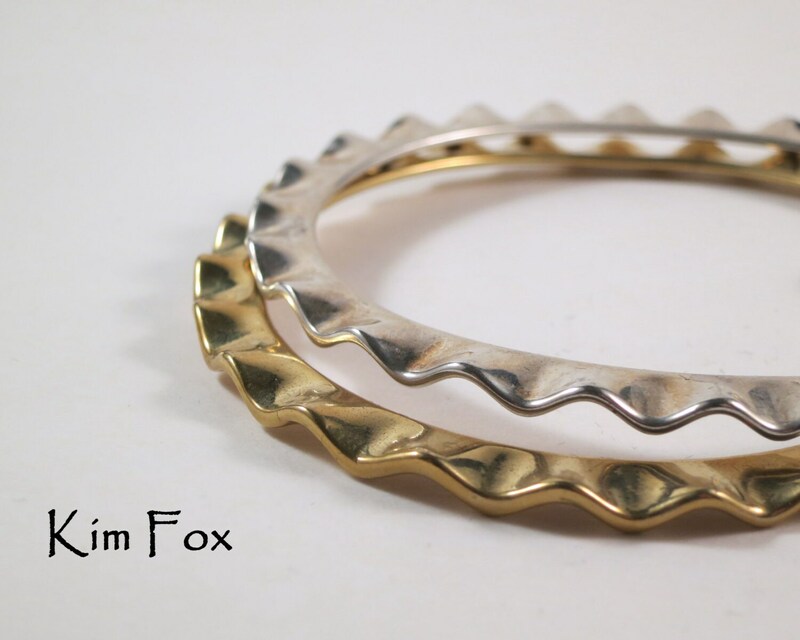 The Wave bangle comes in two metals, golden bronze and tarnish resistant sterling silver. 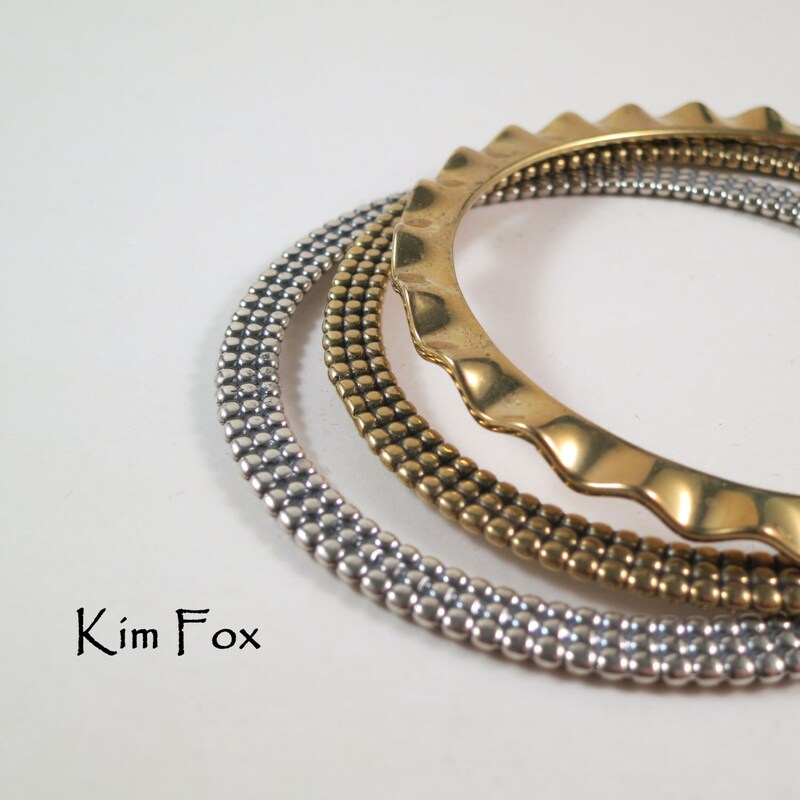 Kim Fox designed the bangle so that it fits beautifully with other bangles in the collection or ones you already own. 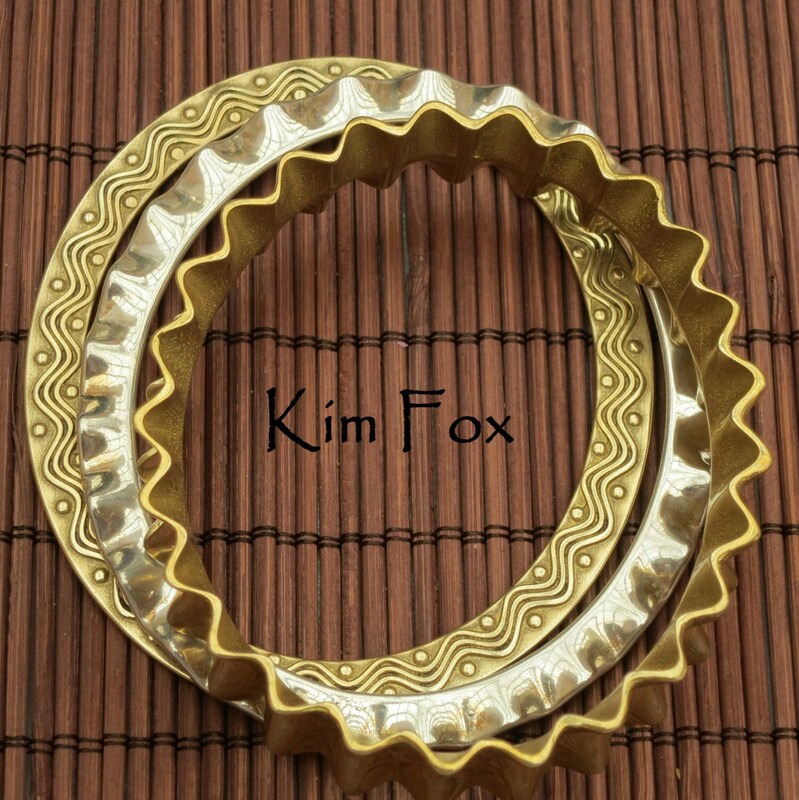 The Wave Bangle is oval in shape which keeps it from spinning on your wrist. 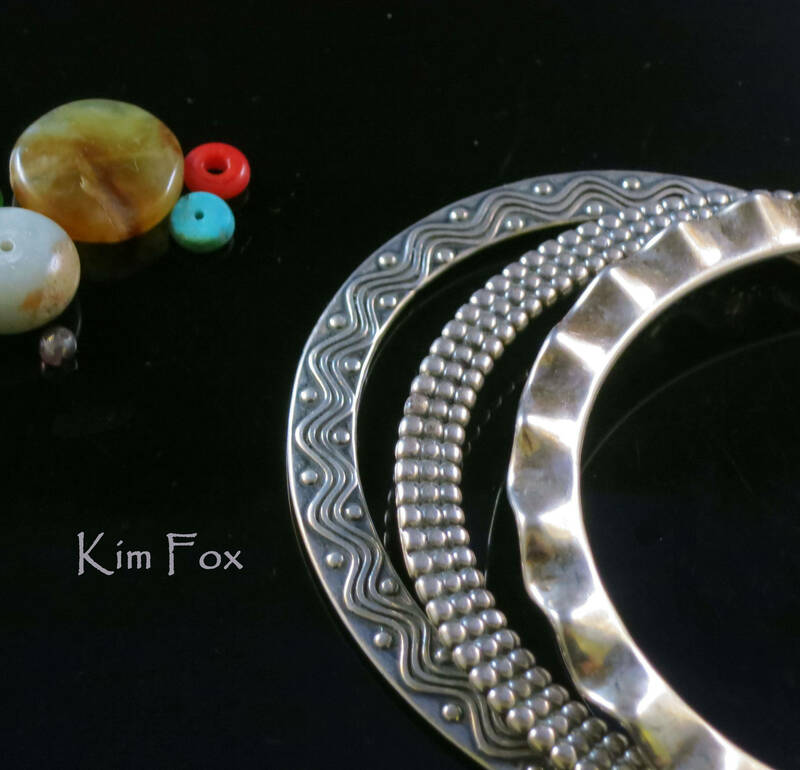 The bangle is lost wax cast and hand finished to a high polish. Care is easy, just use a polishing cloth when needed.